"These dual-textured cleansing pads, moistened with foaming skin-conditioning cleansers and natural soy, help even out skin tone and texture for brighter, naturally radiant skin. 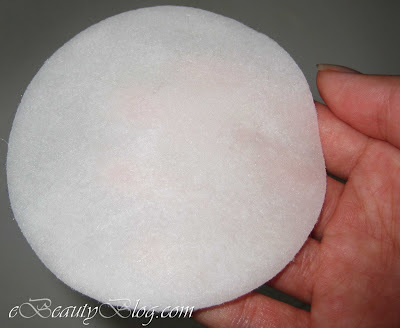 Gentle enough for everyday use and even for sensitive skin." And also a coarse or "textured" side....hmmm....sounds so much like a woman doesn't it? LOL. 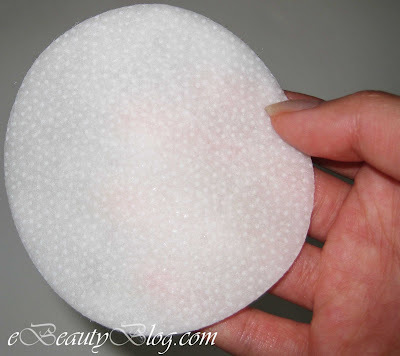 The purpose of this textured side is to "gently exfoliate and smooth away dry patches." 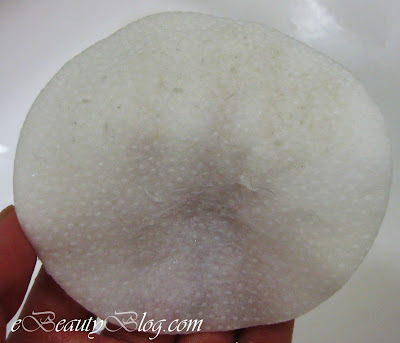 Uhmmm...here's the pad after I used it on my NON MAKEUP face....see any dirty spot? Not really, right? * Skin felt so dry - I have combination skin. Although it helps tightened the pores, it also made my skin so dry afterward. Mmm sounds like it'd be drying! It has alcohol doesn't it?